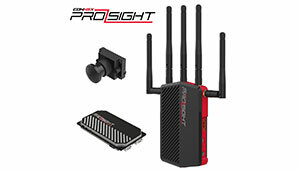 The Connex ProSight HD Vision Pack is a true game changer. It delivers unparalleled vision performance with delay-free wireless transmission. Its superior image quality combined with ease of installation, smooth configuration and improved multi-pilot flying experience for unmatched usability.